I tried to like it, I truly did but have to agree with others. This game is a real let down! What were you thinking Big Fish? This is truly awful. How did this get through quality control ?! Poor controls, basic gameplay, annoying music. Dont waste your money. Well, not sure about this game. 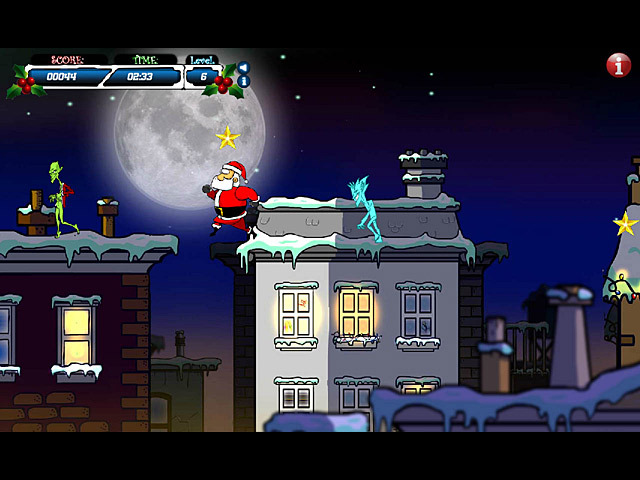 First this game is for kids to keep themselves busy during the holiday but for the adults, it is totally bad. I have no idea on who thought of the storyline but that is not the Christmas Spirit. The only thing good about it is the Visual. I like the side scrolling arcade games (such as Sky Taxi, Supercow and Turtle Odyssey) where you run and jump and find hidden areas and take on bad guys. This one, however, is horrible. I first jumped on the first bad guy on purpose to see if that would "kill" him but that ended the game. Then I tried to to avoid him and twice in a row didn't succeed. You have only the one life you can't double jump so my game ended all three times in about 20 seconds. What the heck is the point? Yuck! I don't usually play too many arcade games so maybe I didn't like this game because I am not that good. Really though it is old, old, school. The graphics were ok, but I am not a fan of using the arrow keys and space bar to control the game. The music and sound effects are so-so. Not my bag baby. Like others, I really wanted to like this one. Santa Claus and Christmas, what's not to like, right??? The music was anoying, the maneuverability was rediculous. I love games like Super Cow, Alex Gordon and Turtle Odysey and thought this would be like that. NOT! To jump you use the spacebar and to go left and right the arrows. That's it, no negotiating. Very "not user friendly" in my opinion. You cannot jump on the bad guys or you die immediately. That's it! I am so glad that I tried the demo, albeit for only 7 minutes before uninstalling this one. Big Fish, what were you thinking???????????????????? Fun and Entertaining! A lot of little hidden gems in there too.. those cars aren't just random. With the recession on, its nice to win one against the Banker too. Can't wait for more!! Stinks worse than 6 year old fruitcake!!!! I really wanted to like this game but after trying it out, I couldn't. I really can't find 1 good things to say about it... other than its Christmas. 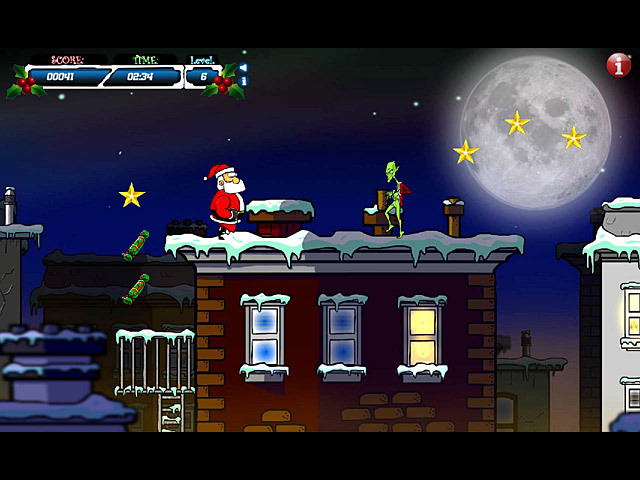 So you play as Santa in a trailer park full of zombies, jumping onto outdoor grills and old 80s station wagons. Then you notice the snowman is holding what appears to be moon shine. It's a redneck Christmas, apparently! LOL Other than the game being funny, it's not done terribly well, unfortunately.